There are various life insurance products available in the market and you may face a dilemma while choosing the right life insurance plan that meets your need and expectation. 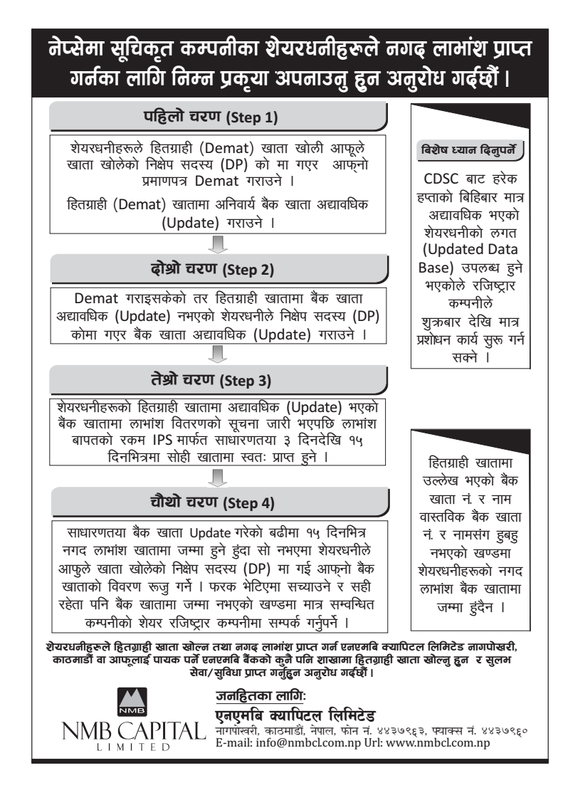 Now, we have made it easier for you. You can evaluate all life insurance products and choose the right option . 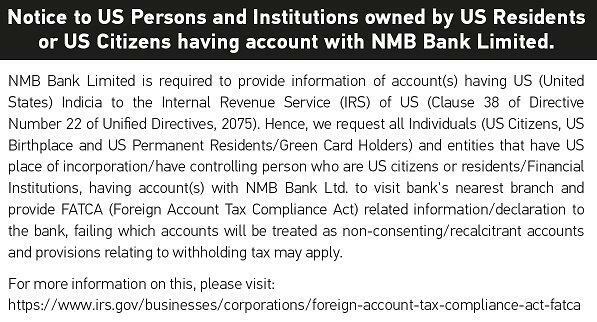 NMB Bank shall arrange all the formalities to issue life insurance policy once you place your order by choosing the life insurance products via our Bancassurance System. It is as simple as that. Wider choices of life insurance plans from best in the industry. Premium Payment facility directly from Bank Account until the maturity period of policy. Assist in claim settlement (Death, Maturity) and policy servicing (Loan, surrender etc). 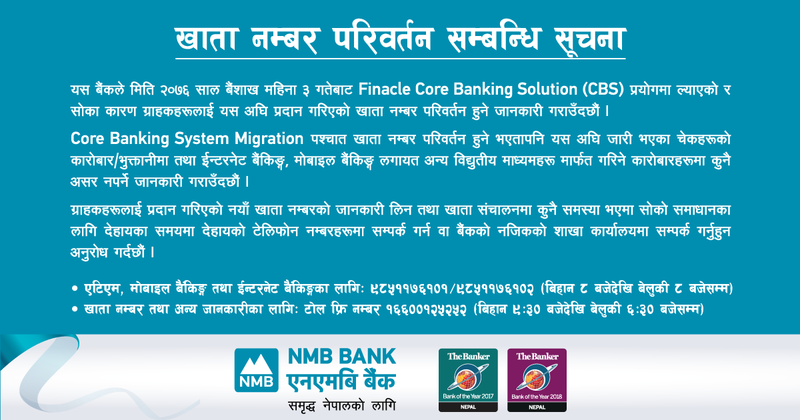 Service can be availed from all branches of NMB Bank across the country.